Yup…it’s yet another New Year to ponder. I wanted to wait until you got most of the “Make this year your best year ever” emails before I sent this one out. I’m sure you’ve rolled your eyes several times already so I thought perhaps I’d give you a few completely unique tips to apply to your financial life. Where do you want to be next year at this time? Are you ready to commit to making it happen? 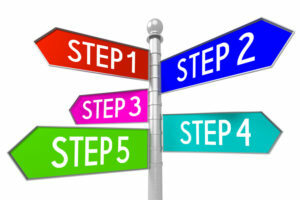 The following 5 steps, however, as a bit different. Why? Because your financial situation is as much an inside job as it is learning and applying new financial habits in your life. Just as the quality of the apples on an apple tree has to do with the health of the tree’s roots, the quality of your external financial situation has everything to do with your mental financial roots (aka, belief systems). If you’re one of the many people in the United States who need a financial makeover, here are five very effective, though unusual, steps you can take to start you down a happier, more prosperous road through 2017. Begin each day with gratitude. Take two minutes first thing in the morning, over your coffee, tea, green drink, smoothie or hot chocolate, to experience gratitude for things in your life: your situation, your family, your experiences, your opportunities to learn, your health, your partner, your toothbrush. Whatever it is…just think about, and FEEL, grateful for as many things in your life as you can in two minutes. To add an additional level of awareness to this process, keep a gratitude journal by your bed or on your kitchen table…whatever is easiest to turn into a habit and write in it every day…if even just for a minute. Note: If a fancy journal makes it easier for you to write, simply type ‘gratitude journal’ into Amazon and take your pick! Start keeping a money journal. Not just for spending but for anything and everything related to money: saving money, investing money, expenses, purchases, why/when you use cash vs debit card vs credit card, thoughts you have about money (THIS is a biggy). This money journal doesn’t have to be fancy or laid out in any particular way, just start writing your money activities down…all of them! It’s only when we are aware of what we’re doing or thinking that we can then set out to modify what we’re doing or thinking in order to bring us a different financial experience. Note: It usually takes at least two normal weeks (i.e., no company, holidays, vacations, etc.) before you start seeing your spending patterns. You know, the ones you need to change. If you really want to make some changes, keep the journal for a least a month. And if you REALLY, REALLY want to change, keep the journal going always. Believe it or not, many human beings don’t really WANT to change because to change often requires compromises, effort, letting go of some things, etc. and for whatever reason, some people are unwilling to change even though they give lip-service to wanting a different life. Human beings hold very deep-seated beliefs when it comes to money (and everything else for that matter) and those beliefs literally control everything we do in regard to money. When you can’t seem to change what you’re doing, figuring out what keeps you stuck where you are is a very good thing indeed. Doing daily introspective work using a journal, talking to a best friend or even hiring a money coach can help you sort out what’s at the heart of your money issues. Note: Even if don’t have money issues, you do have money beliefs that are important that you understand. You never know when a negative belief might just rear its ugly head and cause problems for you. Figure out how improving your financial situation would change your life. Make a list of how things are now and how they would be if you made, or had, more money. I know it seems like a strange question, but the fact is, you CAN change your experience of life in a heartbeat of a second…if you can learn how to change your MIND about your experience. Here’s a great book that I highly recommend…The Untethered Soul by Michael Singer. It’s not about money…it’s about something a whole lot deeper. And when you can see life at a deeper, and different, level, you begin to look at everything differently…especially money! You see, I have been involved with money and people (most of them little, but still) since 2002. I have noticed that money makes people crazy in so many ways. I have noticed that there are people WITH money who are always upset about their financial situation and people with a lot less money who seem sane, happy and satisfied. Figure out how to make doing your money differently a PRIORITY, because if you don’t, you will never change your financial situation. The fact is, unless something is a priority to you, you just won’t focus on it. You won’t pay attention to it. You won’t do what you need to do in order to get where you say you want to go. Think about all of the things you do each day…the things you always do no matter what. Why do you do these things? Exactly…because they are a priority to you. Developing new money habits is one of the requirements for having a new, and improved, financial life. And as soon as you make improving your financial situation a priority, you’ll make developing new money habits a priority and you’ll be off and running. In summary…I’d venture to say that this list of five steps is probably a little different than other articles you’ve read. While the other lists give you a lot of great financial to-dos, it doesn’t help you develop the neccessary foundation for change if you’re truly tired of your current financial situation and would like to have 2017 be different. Start reading books about money. Any and all books, especially books about belief systems such as The Secrets of the Millionaire Mind by T. Harv Eker. Just visit your local library and start checking out financial books. Would will be surprised at how quickly you start to figure out what you need to do. Next, start attending any and all local workshops, seminars or other group events you can attend. You might only pick up one little tidbit, however, those tidbits will add up to a great education quicker than you think. Lastly, consider hiring a money coach. Yours truly is available and happy to help you make the necessary changes and take the needed steps to get you moving toward your financial goals. Just give me a call at 805-957-1024 or send me an email at Elisabeth@creativewealthintl.org. It would be an honor to assist you!